Visit many of Bangkok's iconic attractions in just half a day by tuk tuk. 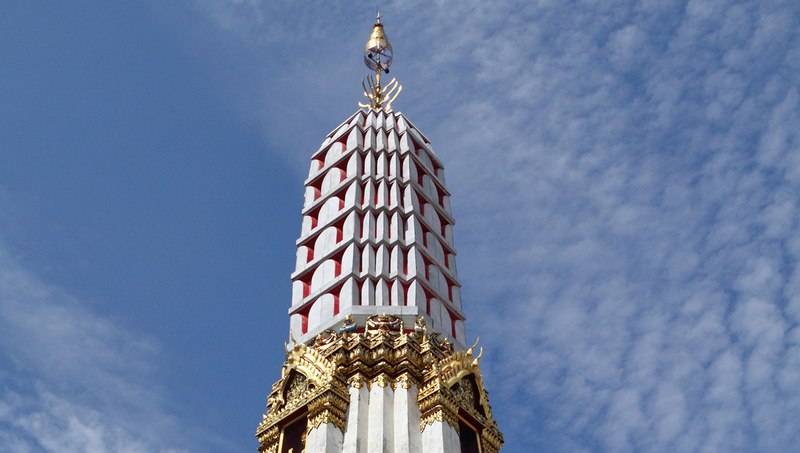 Visit top temples and get a look at life in a traditional neighborhood. 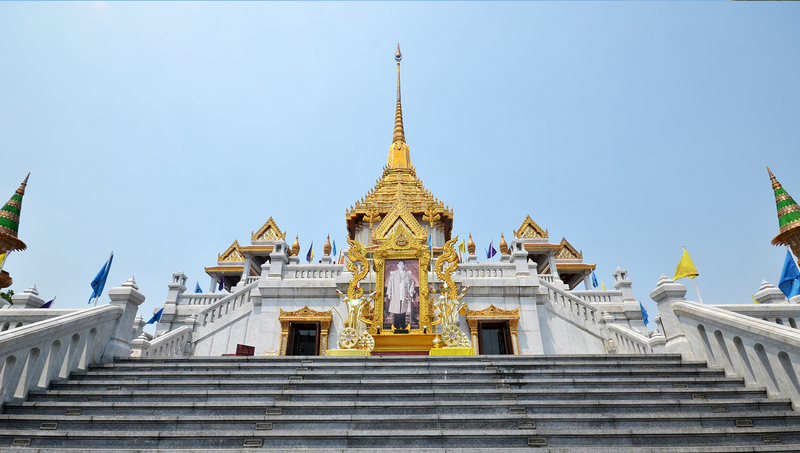 The Golden Buddha is just one of the attractions in Bangkok's Chinatown district, so if you've come especially to see it, why not check out some of these other nearby attractions, too? Housed in the Wat Traimit temple, the Golden Buddha is the world's largest gold statue, weighing over 5 tons and sitting 3 meters tall. It is rumored to have magical properties! 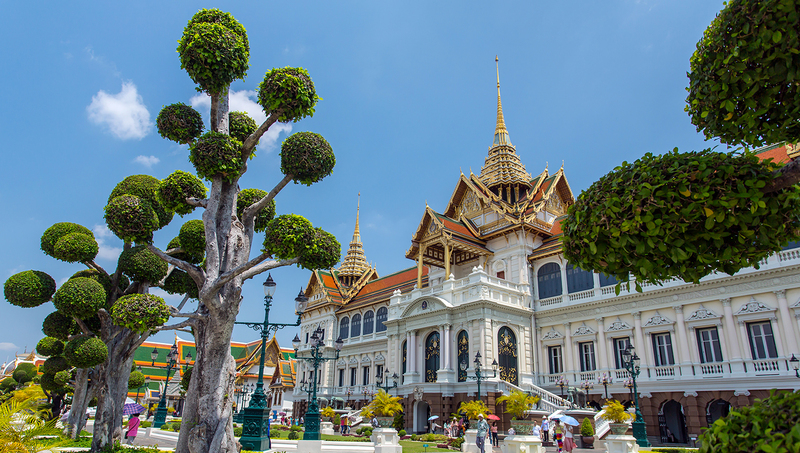 The Grand Palace is the most important building concerning the Kingdom of Thailand and is home to the revered Emerald Buddha. This is a market that takes place at nighttime, and you could get yourself some bargains - not only does it sell clothes and other textiles, but also top street food! The royal temple of Wat Chakrawat offers great architecture, but also beasts lurking in a pond! Keep your distance - legend says they were contained because they kept eating monks. One of the best-kept secrets for getting a great view of Bangkok! The restaurant serves a variety of world cuisine, all while providing a positively electric views over Bangkok. Bangkok can get swelteringly hot in the summer, so a trip around February is ideal. From 9:00AM to 5:00PM. you can visit the Golden Buddha. Since you will be in Buddhist spaces, it is important to be respectful - while some areas may be stricter than others, dress modestly just to be on the safe side. Seeing the Golden Buddha is free, but the museum is 10BAHT, about $0.30. It's a short walk west of Hua Lampong Station. Dress respectfully and modestly to be safe. most enjoyable tour of the 3 city temples. This was a really good way to see the major temples in Bangkok, our guide was very informative and helpful. Pickup was on time and the service was really good. Would recommend this tour to anyone visiting Bangkok, particularly for the first time. The tour was great, informative and the food presented was delicious. Our guide's knowledge of English was good and she presented a lot of noteworthy details along the tour. The small group of six people was nice and easy to keep up with. The tour itself was not too exhausting, partly also because it lastet only for three and a half hours instead of five (as described). The tour stopped in Chinatown without visiting the night market or the flower market, which was disappointing. Taking that into account, the tour was overprized.